For the Chancellor, it was one bit of fiscal news to cheer in a Budget of downward revisions, cuts and slices. The Treasury has netted £200 million more than expected in tax from pension fund withdrawals after dramatically loosening restrictions in April. According to the Office for Budget Responsibility, government coffers are expected to be boosted to the tune of £900 million in the current financial year thanks to people cashing in their pensions. The giant tax take raises questions about the motivations behind changes to the pensions system of recent years. Are higher than expected withdrawals a sign of policy success or failure? Are people joyfully exercising their new-found freedom? Or are baffled savers taking out their money for want of understandable, good value alternatives? Are savers better positioned now for retirement or risking their future prosperity for short-term indulgence? Should we just welcome to boost to government coffers? We don’t know. The government has not set out a vision of policy success to judge it by. When taken together with today’s announcement of a Lifetime ISA, which I discussed in detail here, the news of the extra tax take raises crucial questions about the future of our pensions system. One interpretation comes from former Shadow Pensions Minister Gregg McClymont who has suggested that the pension freedom changes, coupled with today’s announcement of a Lifetime ISA, mean a further move from a pensions system to a long-term savings system. Supporting this notion is the interpretation of a number of observers that the Lifetime ISA is effectively a Trojan Horse for the Treasury’s Pensions ISA idea that the Chancellor conceded today had failed to garner consensus support. Both products involve contributions being made from taxed income with the promise of tax-free withdrawals at the end. A government bonus acts as an additional sweetener. If it takes off, the Lifetime ISA would dramatically alter the course of UK pensions reform. Since the Pensions Commission of a decade ago, pension reform has focused on rebuilding workplace pensions and res-establishing employer contributions which have dropped sharply over the last three decades. Such an approach gained broad support from employers and employees and the pensions industry although many compromises had to be made along the way. The challenges that remained were primarily the means by which contributions should be raised to adequate levels and whether groups such as low-paid workers should be brought into the system. Pensions freedom did not destroy this mission. It undermined the traditional notion of pensions saving as a way of providing an income in retirement. This left some employers wondering about the extent they should support pensions saving given that the proceeds could just as easily be converted into a cruise or a conservatory as an income for life that would smooth a worker’s exit from employment. The ISA approach further detaches saving from the workplace. The individual is responsible for saving adequately, for choosing investment approaches and ensuring that the charges they face are not too onerous. No obligation is placed on employers. The state’s role is limited to a limited up-front sweetener. As an approach for successful retirement savings, it assumes that the UK can, as McClymont has noted elsewhere, move from a nation of savers to one of investors. This requires some heroic assumptions about the country’s financial skills and the ability of the financial services sector to service consumer need. 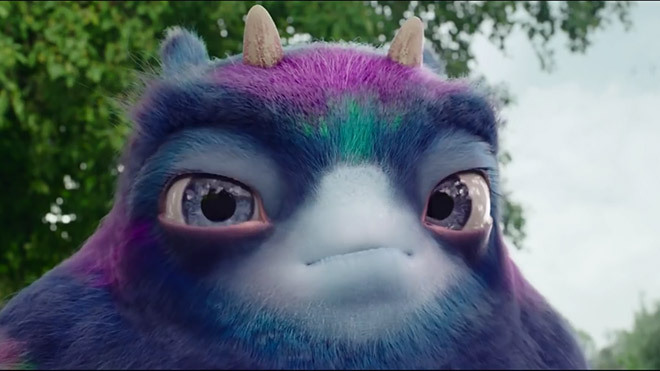 By potentially undermining auto-enrolment, it also risks losing the great swathe of savers – six million at the last count – brought into the workplace pensions system in recent years. Also announced in the Budget was the intention to force the pensions industry to create a Pensions Dashboard that would allow savers to see all their retirement pots in one place. What will take-up be and will it actually engender the great behavioural changes and engagement with pensiosn saving that its more enthusiastic backers suggest? I am sceptical it can do this for more than a small minority of savers. Of course, it could all just be a tax grab. An extra £900 million would turn any Chancellor’s head. Pensions freedom brings forward tax revenues from pensions that would previously have been taken over time. The Lifetime ISA is a way of moving savers from a system of up-front tax relief, where the state has to wait until retirement to recover (at least some) of the tax foregone when savers come to spend their money. What is clear is that an open, honest debate of the type engendered by the Pensions Commission a decade ago is badly needed. The risk is that we let slip the enormous achievements made by automatic enrolment without fully understanding the consequences of what is happening.